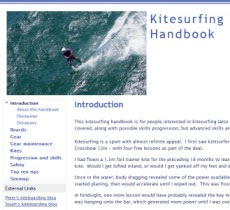 Peter's kitesurfing blog: Killer whales in Port Phillip Bay! Three killer whales have just been sighted cruising around southern regions of Port Phillip Bay! Kitesurfing past them would be an interesting experience, but they visited when there was very little wind. Port Phillip Sea Pilots coxswain James Grinter snapped this photo of an orca sighted near the Queenscliff Ferry terminal. It was reported that they travelled up South Channel to Mornington then returned back down the channel close to shore stopping for a look at Sorrento pier. It would have been fantastic to see them.